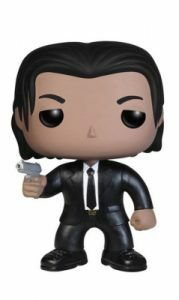 Ordering a Quarter Pounder with Cheese in Paris may require a translator, however, Funko Pop Pulp Fiction transcends any language barrier. 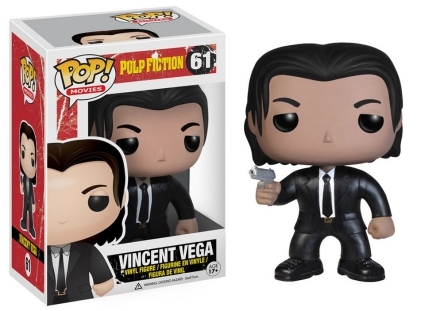 Highlighting notable subjects from the Quentin Tarantino classic, the vinyl figures immortalize characters from the 1994 film Pulp Fiction. 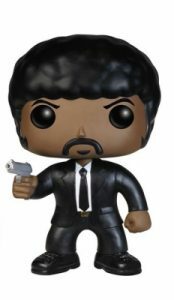 Dressed in corresponding black suit and tie, Vincent Vega (John Travolta) and Jules (Samuel L. Jackson) both stand with a silver pistol, undoubtedly being pointed at one of the young men in Brett's apartment. 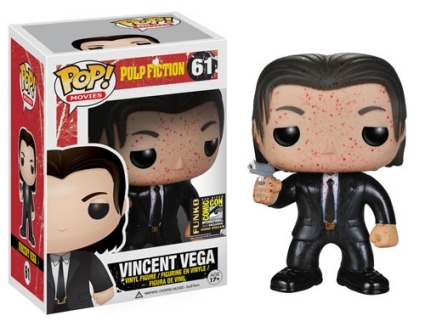 Also included in the set are the bloody variants, with each figure limited to 1,000 pieces made exclusively for the 2014 San Diego Comic-Con. 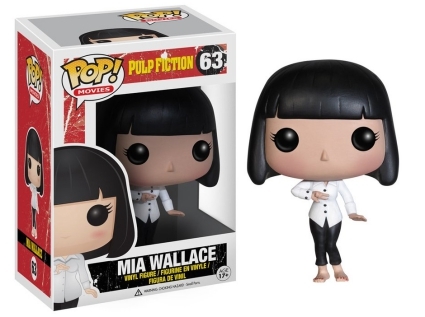 Shop for Funko Pulp Fiction Figures on Amazon. 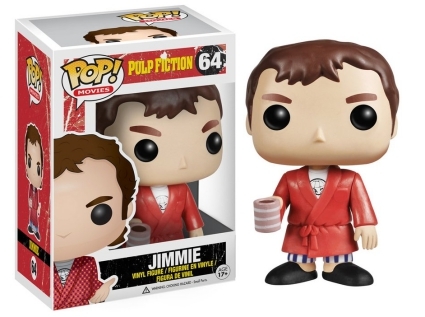 Going deeper into the movie, Funko Pop Pulp Fiction includes a barefoot (Mrs.) Mia Wallace, portrayed by Uma Thurman, and Mr. Tarantino himself as Jimmie, who is holding a coffee mug and wearing a bathrobe over pajamas. 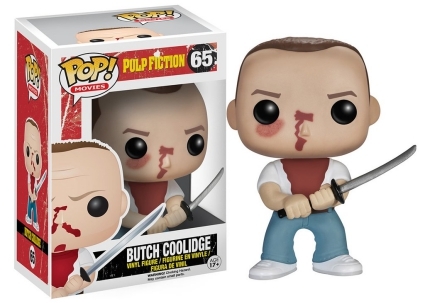 With a bruised eye and injured nose, boxer Butch Coolidge (Bruce Willis) comes in a blood-stained t-shirt while wielding a sword. Want to expand your Pulp Fiction collection? 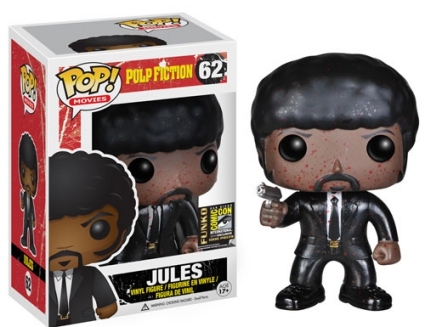 We have you covered with our Funko ReAction Pulp Fiction Figures Guide. 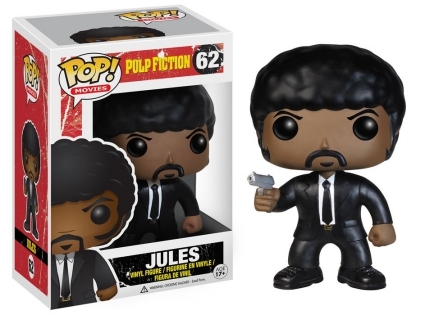 Check out additional Funko Pulp Fiction options with our related guides.